This course is not a requirement to purchase a firearm or obtain a CCW permit in Pennsylvania. Individuals interested in Applied CCW should be able to apply proper fundamentals under minimal stress; be familiar and comfortable with their CCW gear/setup prior to attending class; and understand the elements of handgun safety, basic marksmanship, and basic concealed carry principles. 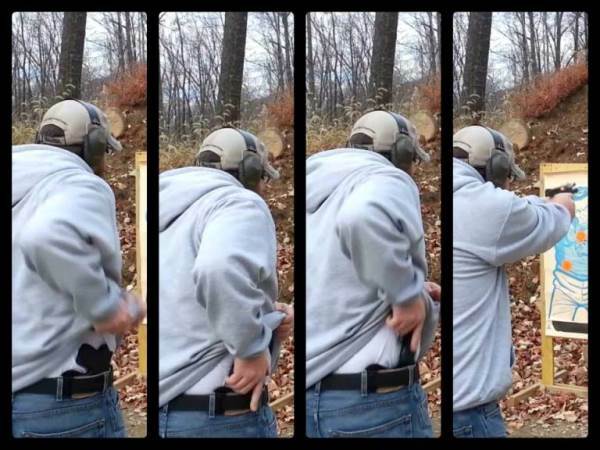 It is offered as both an introduction to concealed carry, and to supplement training for individuals who already carry. Applied CCW is open to all residents who may legally carry a concealed firearm. The goal of this course is to make students who carry concealed more knowledgeable and confident in their carry routine. We will work to improve our skills using a variety of shooting drills on the range. If a student has yet to obtain a CCW permit, we will provide guidance and forms for our area. Students will receive about 1 Hour of classroom instruction followed by 1-2 Hours of Range Time drills. Looking for Concealed Carry information in our surrounding areas?